Why you need to offer Lash Lift treatments! So lash extensions have been huge for the last 2 years as driven by celebrities and the beauty media. Perfect lashes that enhance the eyes, set make up looks off and give easy ‘out of bed’ glamour have become a must-have beauty regime for millions of women. According to research from Mintel, 52% of women visiting salons every 4-6 weeks are for lash or brow treatments of some kind. 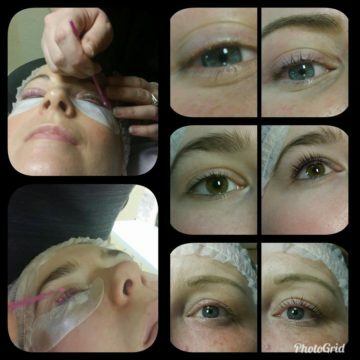 There is now pressure to come up with more options for those with sensitive eyes or those with a history of allergies that make lash extensions unsuitable for those clients and the answer to this is Lash Lift! Lash Lift treatments are a great service for all clients – whether that is for those who are unable to have lash extension treatments, those who just want to enhance their natural lashes for a one-off special occasion & can’t commit to the maintenance of lash extensions or for those who just want a more natural option. It is also great for regular lash extension wearers who are having a break from extensions. Lash lift treatments work a little like the lash perming treatments of old in terms of the process. However, unlike perms which used rounded rods to curl the lashes, lash lift treatments ‘lift’ each individual lash with the help of gently curved, silicone forms. This results in lashes that often appear dramatically longer, lifted and open up the eyes for a dramatic effect. The silicon forms come in different lengths (small, medium or large) and the correct size is selected during consultation based on the length of the client’s natural lashes. Lash perming treatments of old gave a lovely curl to the lashes but some clients ended up feeling their lashes actually looked shorter due to the curl. Lash lift really maximises the natural length for a polished, healthy lash look. Also unlike perming, as the lash lift products are only applied from root to mid section of the lashes. This avoids processing of the delicate tapered tips of the natural lashes which can help lashes look and stay healthier and stronger. Over-processing was common with perming treatments using rods where the product was applied all over the lash length which could lead to more delicate or natural curly lash hairs looking frizzy, dry or crinkled. Lash Lift creates smooth, straighter but lifted natural lashes. For maximum wow factor, the lash lift can be followed by eyelash tinting within the same treatment service which leaves the newly lifted lashes looking darker and evenly dark from root to tip for maximum effect. This is particularly useful for those who can’t or don’t wish to wear mascara day to day and/or have naturally fair lashes. The treatment usually finishes with a nourishing or conditioning product applied to lashes which is great for those who have damaged, weakened or very dry natural lashes and can help restore the lashes and encourage better growth with time so perfect for those having a break from lash extensions to allow the natural lashes to regrow or improve in strength where lash loss or damage may previously have occurred. Outlay is minimum since only a small quantity of product is used for each treatment service and regular repeat treatments are recommended to maintain the lifted effect, giving a regular client base as clients become hooked on this incredible treatment. Treatments can last 4-6 weeks depending upon the client and adherence to correct aftercare. A patch test is required with all products, for all clients 24 hours prior to planned treatment. The full treatment with lash lift and tinting usually takes approximately 30-45 minutes and many therapists are charging up to £50 for the service. It is a great, relatively quick and simple treatment to offer as a therapist but the results are astonishing and more affordable than the commitment required to maintain eyelash extensions long term. 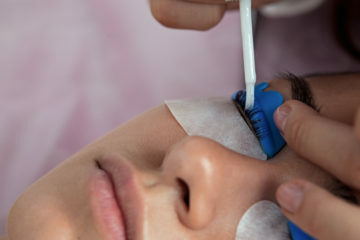 Our Lash Lift & Tinting (1 day) course is fully accredited by ABT for insurance and is suitable for complete beginners to lash/brow or beauty treatments. It is also ideal for those already working as a Lash or Brow Technician who wishes to learn further treatments to add to their service menu. Our in-house Support team are on hand beyond your training to support you as begin to provide your treatments and you will gain full knowledge and confidence in providing your treatments following your training with our experienced tutors. Book Online Now or call Free on 0800 999 2277 to find a training date convenient for you!